Every 4 years, we await the most coveted sporting event in the history of mankind, the Olympics. It is in this spectacular arena, where heroes are born and legends are remembered. It is not only ‘sports’ that is celebrated in all its glory, but also the courage, the determination as well as the faith and conviction of individuals and nations. The Olympic showcases the triumph of human fortitude, against all odds and it is this spirit, which finds light in the film ‘Cheer for India’, by Sachin Das Burma, Vice President and Senior Creative Director of JWT Delhi. The passion, the grit and the determination is vividly depicted in this beautiful film, as the athletes challenge all obstacles for that desirable object… a medal for the nation! With no client brief or deadline, the film is a unique piece that narrates the sweat and toil of these less-privileged athletes. It also inspires others to follow their own dreams. Kudos to Sachin and team for keeping the dream alive! Do you know that when JWT rebranded itself a few years ago, the colours of the logo came from the colours of Juniper, Wheat and Tabasco? An herb, a cereal, a spice… what better name for an initiative on Foods as a category! In the gene pool of JWT lies an extraordinary ability to see connections between consumers and brands… Joining the dots between human emotions, the rationalising of choices and the path to behavioral change. How do you curate years of learning, dig for new insights and funnel it back into the thinking process? How do you constantly evolve new perspectives on timeless brand issues, be it increasing penetration and trial, getting into the consideration set, or increasing consumption? What finally makes a mother add our brand to her grocery list, or a youth reach for our brand rather than the other? 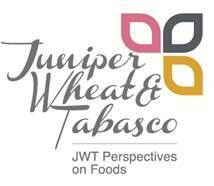 Juniper, Wheat and Tabasco is a hunt for tipping points to adoption of branded food practices. To kick it off, JWT has created a battery of 10 “packticons” – representing the discovery of the 10 benefit spaces that drive all food choices. A creative interpretation of a strategic framework! 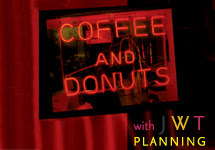 Everything Planning does has to finally input brand propositions and creative ideation. This is a proposition and idea generating tool for food brands that Planning at JWT has co-created with Creative. JWT started this exercise with research using Brand Chakras, and uncovered three fundamental drivers: The Drive for Power, The Need for Love and Care, and The Search for Pleasure. These further cascade into the 10 benefit spaces. Juniper, Wheat and Tabasco goes on to decode each of the benefit spaces in detail, capturing new trends and identifying new opportunities for brands. Experimental travellers are of different shades. However, the two broad types are “Groupie” and “Savvy”. The Groupie experiments, but only in his comfort zone. The comfort zone manifests in various ways. First, the Indian food. “Ghar ka khaana” is all important, no matter how far he/she may be from home. Second, a punishing schedule, even if it is on holiday, is not exhausting in the Groupie’s eyes; rather it is FPV (full paisa vasool). “I have seen all of America” the traveller may declare triumphantly on returning home. But make no mistake! This traveller wants the very best five Star hotels, the best cars, all through his trip. The family can actually afford a Swiss chalet, but would rather holiday as a ‘big gang of family’ or ‘friends’. The Groupie may be shy of holidaying alone, but he is certainly not shy of spending. Buying 4 ipads, one for each of the kids, on a single afternoon is no big deal. A safari world show official group photo for 300 bhat? Of course! Sprawling with a Rolex or Omega, and eating chiwda from home is a relaxing moment. Many such moments are photographed and enjoyably shared. The holiday doesn’t end in three weeks for a Groupie. The favourite holiday destinations are re-visited every now and then, as a group. So, finally, the comfort zone is defined by a certain type of destinations. Typically, the world-famous attractions include Singapore, Malaysia, Australia, New Zealand, USA, UK, and the African Safari. The Groupie believes that travel is about excitement and “aha” moments. In the Savvy traveller’s experience, the travel agent is at best an executor of his plans. This category of traveller has a like-minded circle of friends and family, and a voracious, eclectic media appetite, both of which keep him effortlessly abreast of the latest travel trends. So, visiting destinations for festivals, carnivals is right. Annual leaves are meticulously planned. And, the Savvy traveller heads out more often than not to more unique destinations, such as Brazil, Madagascar, Spain, France, Germany, Turkey and Africa. Luxury Savvy: Being at the very high end of the segment, he demands bespoke experiences of a very high quality. He would almost always book a suite. Even on holiday, he may have a private office from which he can run his empire for a few hours a day. He ‘does’ vacations at least twice a year—during summer and in winter (Christmas). A family holiday is a must for him. And, there might be just a couple holiday, too. Visiting a spa to detox is on for sure. Travel to him is part of his fabric of life. Adventure Savvy: He lives life and travels at the cutting edge. It is all about the adrenalin rush, escaping to nature and some real life. He believes in being on the road less travelled. Off to Peru or Sikkim to be challenged by the mountains, or to a diving holiday. Or, even the Everest base camp. Physical activity to him is the most exciting and rejuvenating part of travel. Travel to him is a trip, of another kind. Senior Savvy: He wants to see the world. Travel is a reward for a life well lived. It is a well-earned, well-deserved prize. Responsibilities over, he experiences a new freedom and couldn’t care for less. Whether it is about unique destinations like Egypt or about fulfilling a lifelong dream—say a cruise holiday—travel is a reward for him. So, everything about it must be special, carefully planned and well suited to his comfort levels and pace. He likes to holiday on his own terms. And, this includes the company of his lifelong friends. And yet, the scene is evolving rapidly. Haven’t we all considered the rise of kids and teen travel? Kids below five years have passports more often than not, whereas a few years ago, it was a teen phenomenon. School trips are now hardly to the Campa Cola factory and more likely to NASA. Generational arguments on the fault lines of travel permission (“but the whole class is going river rafting in Rishikesh, or sightseeing in Egypt”) abound already. Kids are more adult-like about travel, and far more exposed to it from a younger age. Parents, too, are encouraging travel for their children. They believe it to be one of the finest forms of education without walls. As today’s children grow up and approach the age of independent travel, their experiments in travel as leisure, in travel as education, in travel as part of a career, and in travel as vacation will be of a much wider range than we can imagine. So, whatever you do, as travel brands keep a close watch on the confident and well-traveled kid. The following actors have chosen their roles and their choice of movies are very selective. The new age actors have discovered that in order to order to remain relevant they have to constantly keep themselves fresh in order to be in the consumer’s eye and consumer’s mind. The consumer is always on search for something new and in order to catch their attention the promo has to be enticing enough for them to keep a reminder and make it a point to watch it. The new age film need not have a star cast, it just needs to have a good story and what has now caught everyone’s fancy is the right formula to market their films. Aamir Khan seems to have struck it right and whether it was his film Ghajini which had everyone sporting a similar haircut or his other movie Taare Zameen Par or 3 idiots which went on to Delhi Belly which had everyone hooked onto the song “DK Bose” and then his wife’s, Kiran Rao’s movie debut Dhobi Ghat had everyone hooked and waiting to watch what is next. A parallel cinema in the form of Art Cinema has been in evolution for many years now and has been a strong alternative to the commercial Bollywood masala and saw the rise of stars such as Shabana Azmi, Smita Patil, Nandita Das ,Rajat kapoor, and Vinay Pathak and they have certainly given a serious change to fare we have available today, be it movies like BOL or Ankur or strong performances from Jaya Bachchan in Hazaar Chaurasi Ki Maa or with Nandita Das directorial debut of Firaaq which spoke of strong themes or the recent Irrfan Khan movie Paan Singh Tomar which told us the true story of an Olympic medallist from India and how life took a change for a different course. Films furthering social causes have gone a long way and have brought to the front issues such as an autistic child and their dilemmas in movies such as Tare Zameen Par or even bold films like Fire, Earth and Water which spoke of issues prevalent in India. There can be further argument as to how can not a Bollywood actress take on another role and we saw this in the case of Rani Mukherjee and her role as a prostitute where a Bollywood actress was seen in a serious role. Laaga Chunari Mein Daag was a strong story of a woman who has strong beliefs when trying to protect her family and will go to any lengths to protect the people who matter to her the most. Recently, Ishaqzaade which was Arjun Kapoor’s debut film with Parineeti Chopra did an innovation on You tube where they had every viewer had to watch the song of their film before they went onto the video of their choice and they were not allowed to skip the video which was the usual option to skip the ad and go on to their chosen video. Indian films now have their movie site where you can learn more on the movie see trailers and have more consumer interaction with the movie. Take the case of Turning30 which people interact and learn more on the characters and hence try and identify with the person they are seeing on screen. With the stage set for new age cinema, we have progressed in certain directions, and have also developed some genres. We deal with social issues, stories that have a relevance to current society and stories that need to be told because through the medium of cinema we reach a wide audience and our story needs to be told to make a dent or a connect with our audience that are waiting to see what role does this actor perform next or what film does a director like Ram Gopal Varma or Anurag Kashyap bring out next. The new Age actor is branching out as we have seen in the case of Aamir Khan who has transposed himself onto the small screen with a socially relevant show and has managed to pick the right topics and get the middle class who have been affected by it , talking about it. His show, Satyamev Jayate has gone on to create a prime viewer ship slot and has a TVR OF 4.0 after 4 weeks which is all set to grow and become a property of its own on Sunday mornings. 2. & 3. India is the largest maker of films worldwide and we continue to strive to make relevant social films across themes and genres in multiple languages and we have some great films coming out from various corners of India. Our films are here to entertain us and we the discerning audience have every right to expect stellar performances from our new age actors. WPP’s highly-competitive Atticus Awards exists to encourage its employees to pursue thought leadership by awarding original, published thinking in communications services. This year, the Khan and Khan of JWT India made all of us proud with their fantastic performances... Shaziya Khan, Executive Planning Director (JWT Mumbai) won a Certificate of Merit in the Consumer Insight category for her entry, “India – a JWT Perspective”. Lubna Khan, Strategic Planning Director (JWT Delhi) also received a commendation for her work, “Don’t Listen to yourCustomers - Working with a Task Based Approach to Innovation." Their achievements will remain an inspiration for us all!